Norwich City set to secure striker signing to boost survival hopes | The Transfer Tavern | Where football transfer rumours fly or die! Norwich City supporting punters here in the Transfer Tavern could soon be making a toast towards a new signing at Carrow Road, after reports emerged in the Daily Express that suggest Everton striker Steven Naismith is set to complete his move to the Canaries. 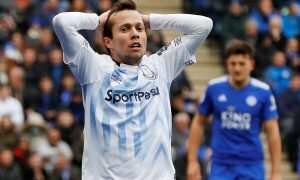 The article states that Everton were holding out for a fee in the region of £8 million, with Norwich now willing to press ahead with the deal as they look to secure Premier League survival in their first season back in the top division. The Scotland international netted an impressive hat-trick against Chelsea earlier in the campaign, but a desire to play more frequent first-team football appears to have made his mind up about leaving Goodison Park. 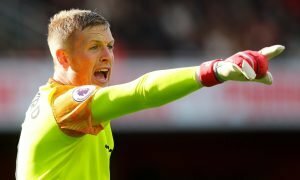 Our knowledgeable landlord believes Norwich are getting themselves a fantastic player, and sees the move as a real statement of intent that the Canaries can stay in the Premier League beyond this season. Our resident Norwich City fans feel this would be an excellent bit of business, with them all agreeing that the forward is incredibly underrated! Norwich fans… Would you welcome Naismith? Let us know your thoughts and opinions in the comments below!